What a calming photo. Thanks for sharing. They were quite tame – you could buy special food, they were quite pushy and greedy! They have the most amazingly massive feet! They don’t look quite as graceful out of the water – some of them were curled up sunbathing – amazing!! Yes indeed – I will be going back again! Darn it… I was at Wordsworth’s cottage yesterday – all inspired and poet like – today… I’m reduced to Hilda Ogden! I’m a poet… I’M A POET! Melt down over – back to the Daz! LOL! 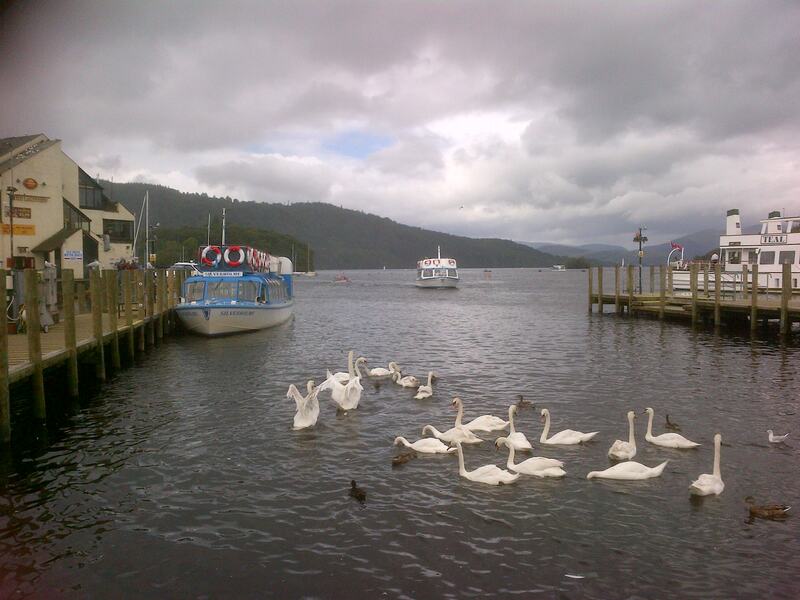 Ah thank you – Windermere is a breathtakingly beautiful place!